As a child a carnival is one of the most exciting places you can visit. All of the rides seem so big and scary yet fun at the same time. As a parent, it is always fantastic to watch your child’s face light up with excitement once they see how many rides are available to them. For a toddler, a whole day at an amusement park can seem like a very big day and the fun can start to wear off after a while. How can you keep them engaged and entertained throughout the day? After years of experience we at Joylands have put our heads together and come up with the top three tips to help keep your toddler entertained. Taking the time to scope out the toddler-friendly rides will ensure your toddler is kept busy on rides all day long. Keep an eye out for rides like carousels, fantasy cups and even mini ferris wheels. These rides are suitable for younger children and aren’t usually too busy so your toddler will have plenty of time to enjoy the rides. As with any ride make sure you check any height restrictions and listen to carnival staff if they tell you your child is too small to ride. There will also be rides, like the fantasy cups, which you can accompany your child on. A great bonding experience to share the ride with your child! There will always be something suitable for your child so, if in doubt, ask a staff member what rides they can recommend. Depending on what carnival you are attending you may be in for a short wait to get on your ride of choice. As a parent to a toddler, you will be well aware that a short wait for us is a long wait for a toddler and something they don’t tend to deal with very well. Small lines are a good time to give your toddler something small to eat and drink. Use your judgement though, if you think the ride may not mix well with a toddler that has just eaten then wait until later. Games like eye spy are also great ways to keep your kids entertained while you wait in line. If you have a pen and paper handy, small games of naughts and crosses are also good ways to pass the time and before you know it you will be at the front of the line. With all the excitement that comes with carnivals it is important to remember that your toddler can only fit so much excitement into one day. If you can’t get through all of the rides that’s ok. Keep an eye on your toddler and when you start to see them become tired or agitated, take the time to find a quiet area where you can sit down and re-group. Letting your child rest for a while and recharge their batteries will do wonders for them and you. There is no fun in stressing yourself trying to fit all the rides in and having to deal with a cranky toddler. 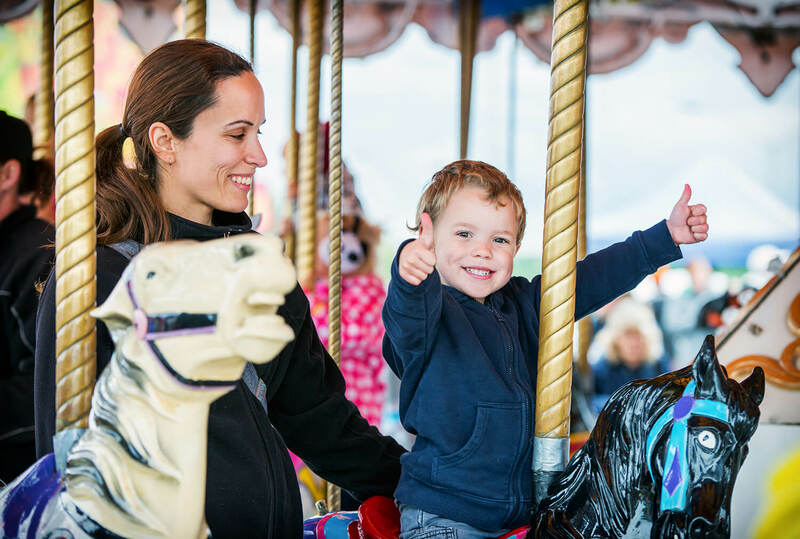 Taking your toddler to the carnival is a great way to create memories you will cherish for a lifetime. With a little bit of planning you can give your child an exciting day out that they will love. Not to mention that you will love as well. Interested in working with Joylands at your next event? Contact us today to find out more!